1. They set HIGH TARGETS and goals. 2. They carefully PLAN their quarter, month and week, as well as their daily schedule. 3. They set OBJECTIVES for every sales call. 4. They ASK high-value questions that probe to the heart of the issue. 5. They LISTEN carefully to what their prospects and customers say instead of waiting for your turn to speak listen to your customer. 6. They CLARIFY the issue when they are unclear what their prospect means. 7. They WAIT TO PRESENT their product, service, solution or idea until they know exactly what their prospect's situation is. 8. 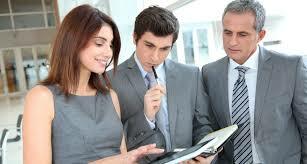 They begin every sales presentation with a brief RECAP of their understanding of the prospect's situation. 9. They know how to ADAPT their sales presentation if their prospect's situation has changed. 10. They know how to properly and effectively POSITION their product, service or solution. 11. Their sales presentations FOCUS on the prospect. 12. They are PREPARED for potential objections. 13. They always establish the NEXT STEPS. 14. They FOLLOW-UP after the initial call or meeting. 15. They PROSPECT continually to keep their pipeline full. 16. They deal with the DECISION-MAKER whenever possible.